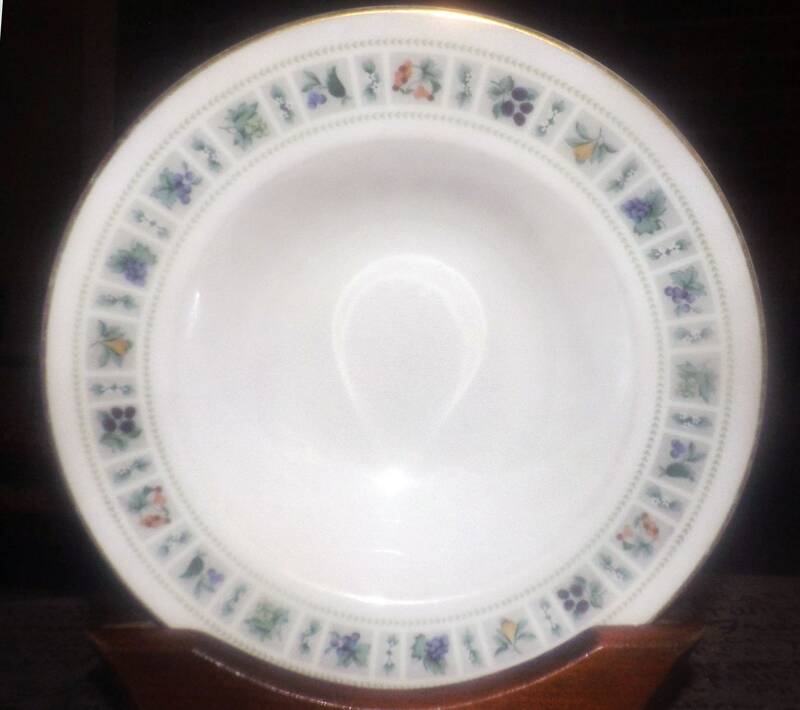 Vintage (1980s) Royal Doulton Tapestry pattern TC1024 rimmed soup bowl. Multicolor fruit and flowers on green, gold edge. Vintage (1980s) Royal Doulton Tapestry pattern TC1024 rimmed soup bowl. Multicolor fruit and flowers on a green border band with a smooth, gold edge. In EXCELLENT! and seemingly unused to little-used condition with NO! chips, nicks, cracks, or fleabites, NO! crazing, NO! loss to the gold edge and NO! marks, stains, scratches or other signs of use or wear. The fruit and florals are bright and vivid with NO! fading apparent. 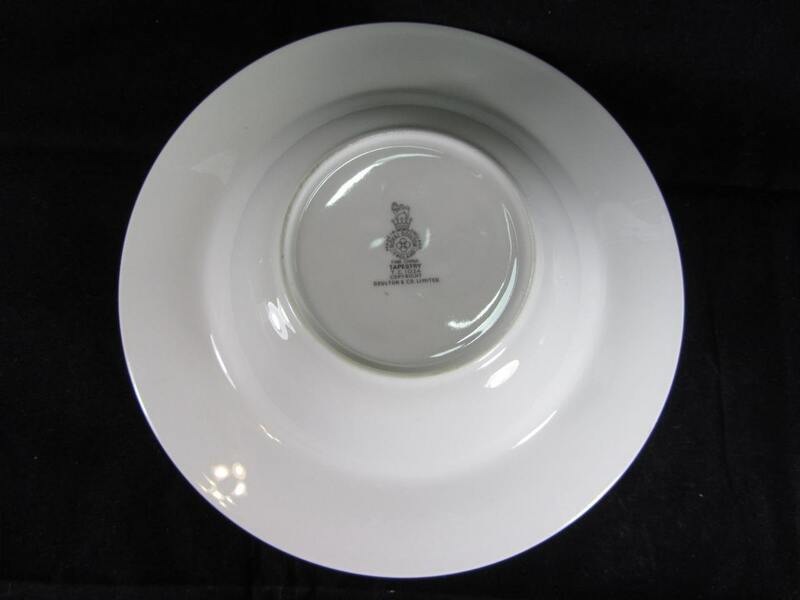 Approximate measurements: 8-1/2" in diameter (measured edge to edge across the front of the bowl) with a depth of 2-1/4" (NOT including the rim in this depth measurement), a 1-3/4" rim and smooth, gold edge.